your favourite road. 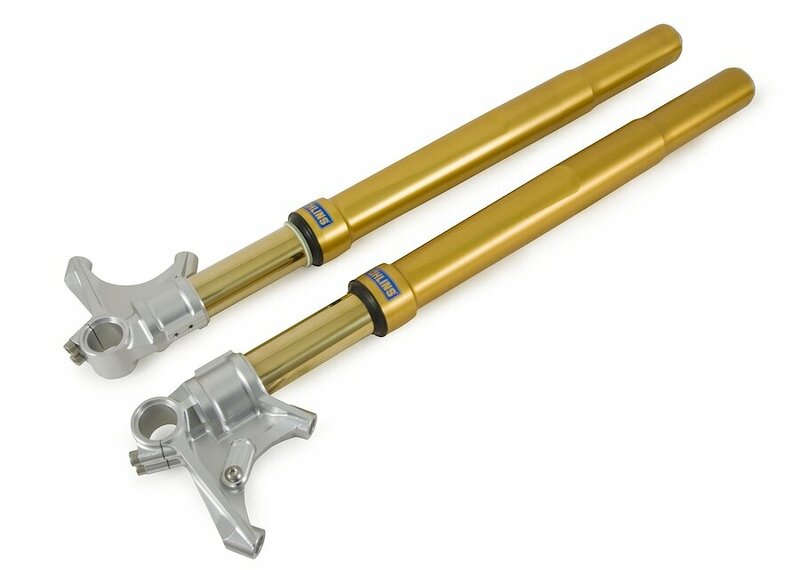 The new Road & Track front fork will give you loads of performance, stable damping and fantastic comfort. The new Road & Track front fork features the Öhlins 30 mm Cartridge Kit inside, a winning kit in several national superbike championships. adjustment in the other leg. The new front fork gives a big improvement in tire feel, brake support and the general handling of the bike. The outer design has been redesigned to make this front fork even more attractive.